Emergency crews rescued a man Tuesday evening but were unable to locate his companion whose kayak capsized off the coast of Fremont, according to a fire chief with the Menlo Park Fire Protection District. Mulitple agencies scoured the bay waters near the Dumbarton Bridge for hours for Kenneth Maldanado, 32, of San Jose in the dark before suspending the search at 10 p.m., officials said. A Coast Guard Cutter rescue boat stayed in the water overnight. Maldanado's friend was in a raft and Maldanado was in a kayak in the water south of the Dumbarton railroad trestle Tuesday afternoon when the boat capsized. Maldanado's friend used a cellphone to call for help at 4:38 p.m., telling dispatchers that his buddy, who is bald and has a goatee, had fallen off his kayak into the water with no life vest. An airboat was deployed, and crews rescued Maldanado's friend in the raft within 20 to 30 minutes. Maldanado was still unaccounted for when the search was called off. The search will resume at daylight Wednesday, fire officials said. "We hope it's going to end well, but any time nightfall hits when you've got someone in the water with no flotation, it's hard to say," Menlo Park Fire District Chief Harold Schapelhouman said. "We hope for the best." 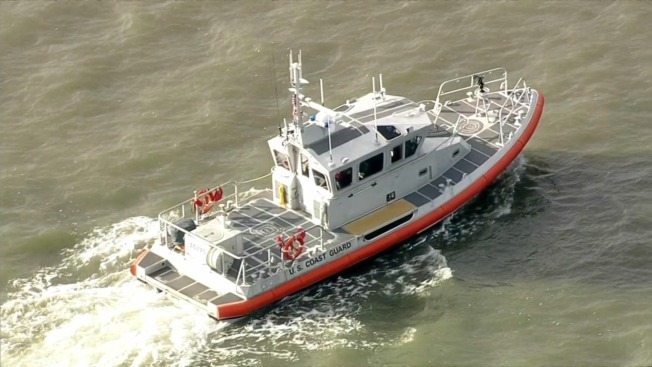 Aircraft were deployed by the U.S. Coast Guard and the California Highway Patrol. Menlo Park firefighters and the Fremont Fire Department both used drones to search the shoreline. Firefighters from Redwood City, San Jose, Santa Clara, Fremont and Alameda County all sent water rescue assets - and as many as 13 boats were engaged in the search late Tuesday night, according to Schapelhouman. Rescuers were using FLIR (Forward Looking Infrared) technology, which can pick up a heat signature - but the victim has been in the water for hours and may have gotten cold. "Best case scenario, maybe he was able to swim to shore, and he's sitting someplace where we can't see him," Schapelhouman said. "It's a big bay out there."